Could a book by any other name smell as sweet? Absolutely not. The rose is the world’s favorite flower—and always has been. It is our greatest floral symbol of love and romance, and it is a bloom that touches our hearts as the flower most often chosen to celebrate significant milestones—weddings, anniversaries, births, and indeed, deaths. 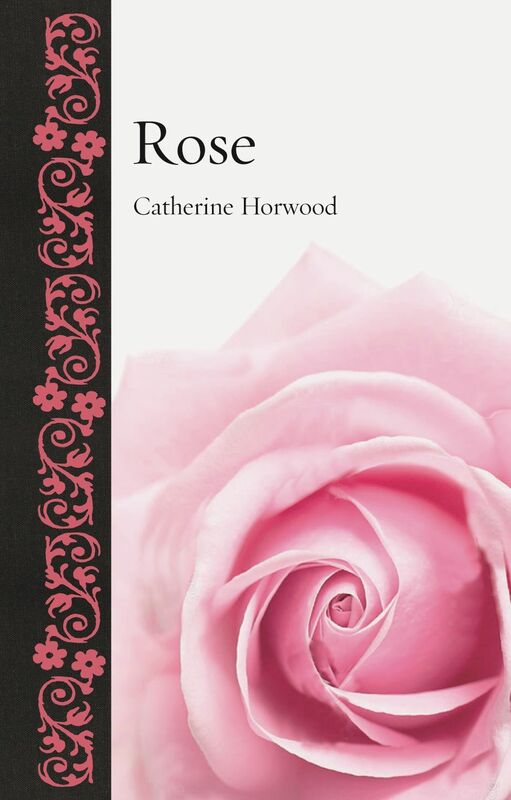 In this book, Catherine Horwood traces the botanical, religious, literary, and artistic journeys of the rose across the centuries, from battles to bridal bouquets. From Cleopatra’s rose petal–filled bed to Nijinsky’s Spectre de la Rose, from the highly prized Attar of Rose oil so beloved by the ancient Persians to the rosy scents of top perfume labels today, from Shakespearean myths about the War of the Roses to the significance of roses in Queen Elizabeth I’s embroidered dresses, and even to blockade-running during the Napoleonic Wars to satisfy Empress Josephine’s passion for collecting her favorite flower, Rose blossoms with the many stories of our ardor for this botanical family. Featuring a bower of illustrations and drawing on an array of sources as rich and many-hued as roses themselves, Horwood’s tale opens our eyes and noses to the world’s major rose-growing nations. With operatic tales of medieval bestsellers, nurserymen’s rivalries, and changing tastes in our personal flower beds, Rose is certain to woo both gardeners and non-gardeners alike. "The rose has a fascinating history: archaeologists have found rose fossils which are thirty-five million years old. In this charming book, social historian Horwood traces the flower’s religious, literary, and artistic roots, right up to its present-day uses." "It is no surprise that the rose is the world’s favorite flower, and in her new book, simply called Rose, Horwood dances us through every aspect of its botanical, cultural, and literary significance. . . . It offers many interesting nuggets, too—not least that we should all add the European Rose Garden in Sangerhausen, Germany, to our bucket list, as it has 8,600 varieties. There’s an enticing recipe for rose vodka, too." "You will pick up this book wondering what else there could possibly be to know about roses only to be captivated by a tapestry of deftly woven stories of the plants' botanic, literary, cultural, and artistic influence that I, at least, discovered for the first time. . . . The book manages, in a succinct and engaging manner, to illuminate the breadth of the plant's influence. For gardeners who love roses this is a fascinating and enlightening book." "Rose is a well-researched and riveting history of the world's most popular flower. From the fossil record to the rose garden at the White House, this book takes the reader on an epic history of the rose in civilization from ancient times through the patent rules in contemporary times. Historical accounts are spellbinding and include the harrowing tale of the escape from Europe in the midst of a military invasion during World War II of a world-renowned hybrid tea rose, 'Peace.' The book properly attributes the important contribution of Josephine Bonaparte, whose appetite for roses and access to her husband's wealth and privilege prompted her to construct the world's greatest rose garden; her influence is still found in today's gardens. Medicinal uses, cultural importance, and the role of roses in medieval paintings are academically addressed but never difficult to comprehend. This is a small book that packs a huge punch regarding roses in human history. Recommended."